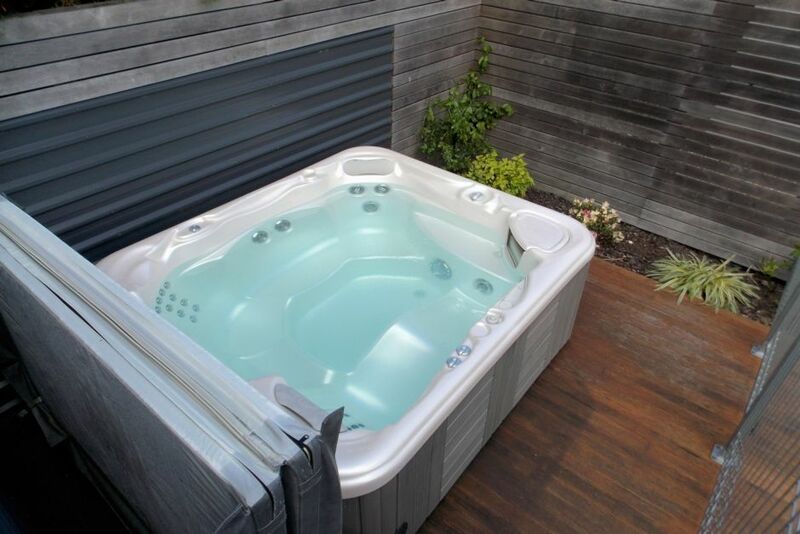 For larger groups De Vine Martinborough has three four bedroom Holiday homes 26, 14 and 14a Cologne street please enquire or view the other houses on this site. We had an awesome time staying here. The house has everything you need and more. Diane was fantastic. Would totally recommend this as somewhere to stay. Will definitely book again. Refer to above comments... plus the extra service pieces set it apart.. spa bath, hot tub, food etc to help get us through... and so on. Very nice ! Modern, spacious, immaculately neat and well provisioned. Enjoyed the private setting and excellent facilities. Town and good dining only a short walk away. An ideal hub location for seeing the southern Wairarapa, and of course wine tasting. Owner was a delight to work with. Beautiful house, great location, fully equipped kitchen with everything there. Couldn’t of asked for a nicer place to stay. Thanks Diane!! Would definitely go back. House was beautiful, immaculately clean and has fantastic indoor/outdoor flow and spa pool. Beds so comfortable with quality beding and fantastic pillows. Breakfast supplies, quality shampoo, conditioner and soap an added bonus. Will defiently stay again.